Rookie detectives Lark and Connor Ba are back on the case! 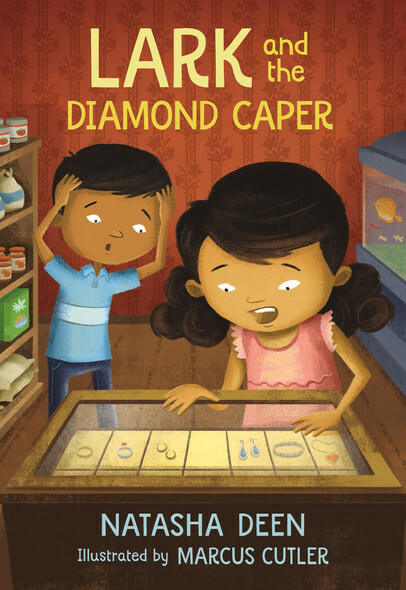 When a pair of diamond earrings goes missing from the neighborhood general store, Lark and Connor just happen to be in the right place at the right time. Carefully mining the adults for clues, the twin sleuths work together to solve the mystery. Lark and the Diamond Caper is the second title in the Lark Ba Detective series, following Lark Holds the Key.